Here is another fire stick from my Maduro Monster sampler pack. 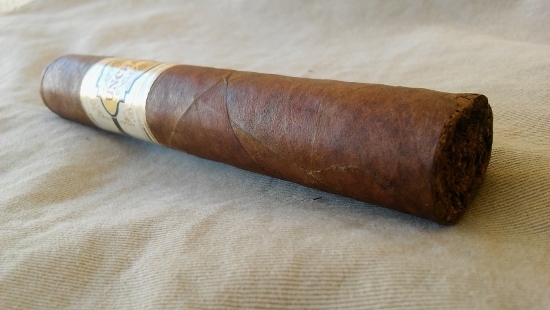 It’s a RP El Paraiso Ligero measuring a whopping 6 x 60. It’s a very large cigar. OK…so you’re looking for the “baddest” smoke this side of the Mississippi? Or you want to try the strongest MF available? Here is one that will fire up your engine for sure. This stick is full of “high Octane” or better yet…Nitromethane fuel. Light it up and sit yourself down… for safety purposes. This stick packs a serious punch. It’s fueled up with Nicaraguan and Cost Rican triple ligero binders and long filler. These combustibles are wrapped by a very flavorful and quite robust Habano wrapper. Nothing subtle here! Take a look at that wrapper…it’s quite DARK. The darker the bolder the flavor. Bold is sugar-coating it…I think. The fillers are “bunched” perfectly to permit a fantastic draw and razor burn. This is a super Premo hand made cigar. The Habano wrapper is absolutely beautiful and smells like heaven. What a “Masterpiece”. It does taste as great as it looks too. Just be prepared for some BOLDNESS. 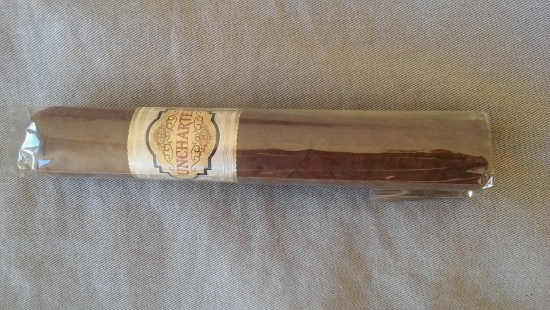 This is a serious Full Bodied smoke with some spice, dark coffee and cocoa to please the palate. 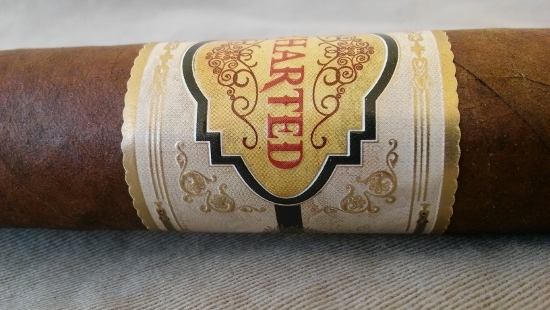 The Uncharted Gordo Maduro is a monstrous cigar not only in size but also flavor. This is a work of art from the famous AJ Fernandez factory. 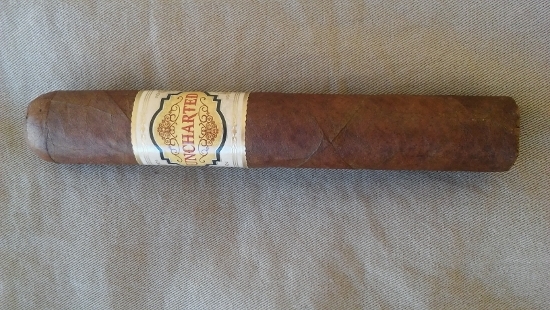 This is one of the cigars I received in a sampler 10 pack I bought from JR Cigars. It’s a real beauty and smells fantastic out of the wrapper. It’s quite the “fattie” and feels great in your hands. The wrapper is quite the “especial”. It’s a dark brown Ligera Habana from Ecuador. You won’t find this wrapper on many cigars. It’s a super dark leaf with very small veins and is very smooth to the touch. And the flavor is unbelievable. OK…feast your eyes on this stick. Is that not a “Bonita y el perfecto” cigar? It’s perfectly rolled and has the right amount of “bounce” to its construction. If you gently squeeze it, it will bounce back and not crack. The Uncharted label is pretty cool also. 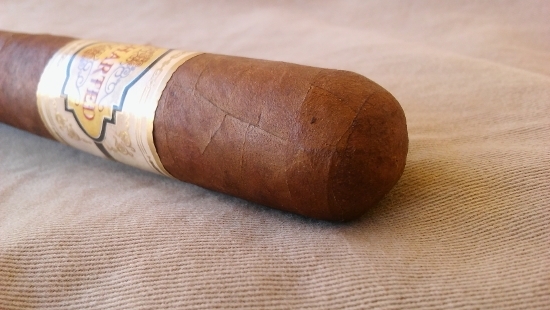 The cigar ring label does nothing for the cigar but it does show a bit of “class” to the factory. I love a really cool cigar ring label. Look how perfect the head cap is done. You can hardly tell that the cap is a separate piece of tobacco. Nicely done folks! So what does it taste like? …spice, cedar, pepper, caramel and black coffee and LOTS of it. It’s quite BOLD and hearty. The draw is perfect and burns like a razor. This is a very nice cigar! 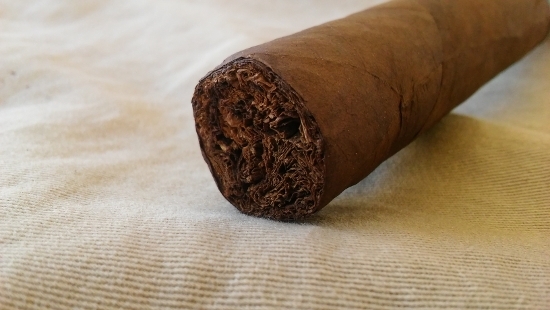 Why Do Cigars Burn Unevenly? 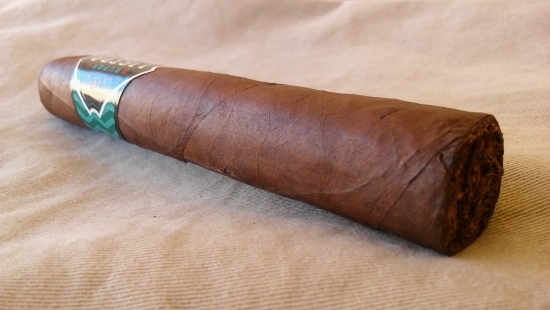 Why Do Cigars Make You Lightheaded? How Long Will a Sealed Box of Cigars Stay Fresh? Do Cigar Tubes Keep Cigars Fresh? How Long Does a Cigar Last in a Tube? How Long Does a Cigar Stay Fresh? How Long Does a Cigar Burn?